Oliver Brown Crowsnest joined our Mission to help provide access to “Clean Water for All by 2030”. This Mission was initiated by the United Nations. A big thank you to Oliver Brown Crowsnest’s team and customers for joining this extremely important mission on 11 December 2017. Prepare to become obsessed! 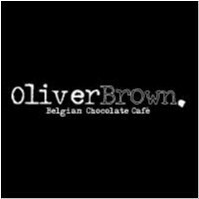 Oliver Brown is the ultimate dessert destination, specialising in decadent dishes made from the finest quality chocolate, imported directly from the worlds chocolate capital in Belgium. The Oliver Brown story began in 2009 in Belgium, when two friends discovered the taste of authentic Belgian chocolate whilst travelling Europe, and immediately became obsessed with the flavour. Struck by the rich sensory experience of Belgian chocolate, their vision was clear – to deliver Belgian inspired chocolates and desserts to everyone at any time across Australia, and eventually the world. The Oliver Brown experience tantalises all taste buds, offering waffles, crepes, chocolate fondue, chocolates, coffee, drinks and shakes, as well as all of the beautiful trimmings of ice cream, chocolate sauce, fresh fruit and chocolate drops. Oliver Brown prides ourselves on offering high quality ingredients, by sourcing the best raw chocolate from Belgium to use in the creation of our chocolates, desserts and drinks. Oliver Brown not only caters for a late night chocolate craving or a hot chocolate on a rainy day but also offers a local hangout spot and a central hub for people to come together and indulge in their favourite dessert delights.